A happy sculpture, hot sellers and her take on traditional tree trimmings... Jennifer is stepping in today for a chat! Q. As the Souvenir Buyer, are you personally a collector of any type of souvenirs? A. Not one particular kind of souvenir, but I always like to pick up some little thing that will remind me of a trip. Q. What is the #1 selling souvenir? Why do you think this is? A. Magnets. I think it's because they're inexpensive, portable, and are a direct reminder of a visitor's favorite work of art. Q. Embellished with everything from 24k gold to Austrian crystals... Use three words to describe our new collection of glass in the catalog. Q. Which is your personal favorite? A. 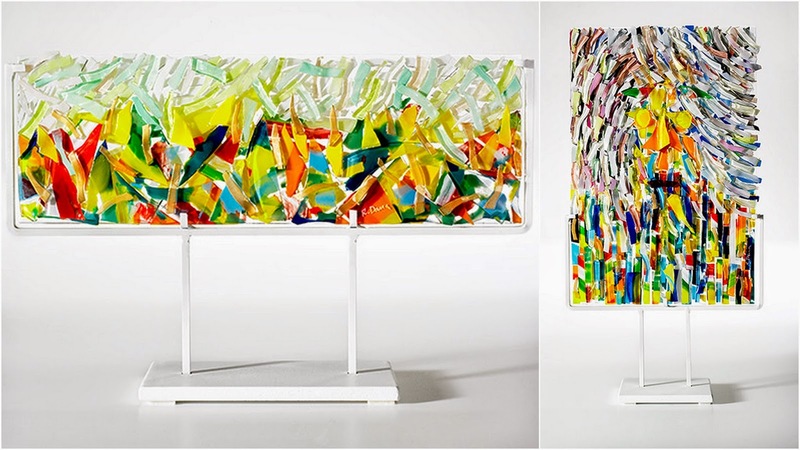 The Italian Fused Glass Tile sculptures. They're so bright and happy. Q. Let's talk Holiday! What are a couple of the runaway bestsellers? A. The Noah's Ark has been a best selling item for years. 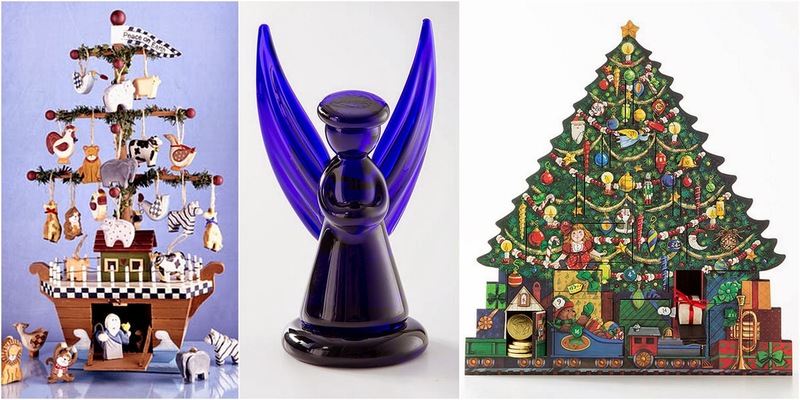 Two new items that are doing very well are the Bristol Blue Glass Angel, and the Holiday Tree Advent Calendar. Q. Any surprises, or are those the items you predicted would be the favorites? A. I thought they would be favorites, but the Angel has really exceeded my expectations. Q. Glass Trees, Glass Menorahs, Glass Ornaments... 2 of your categories converge often. Why do these work so well together? A. Glass is just such a beautiful medium. The light and color lend themselves to festive holiday decor. Word Quiz! Pick the one that best describes you or your style. Q. Tinsel or Popcorn Garland?